It’s the weekend, folks… we all made it through the third week of holiday hustle and bustle! We like to celebrate these mini-victories—such as finishing our Christmas shopping, beating those hectic deadlines or sticking to our diet amidst all the parties—with some quirky pick-me-ups. This week, we’re trying out a faux hawk tutorial just in time for our Friday or Saturday night festivities, because we think everyone can do with a bit of swag to their normal holiday updos. Prep hair for your triple updo by first washing and conditioning with a strengthening system. We like the extra luxurious sheen we get from Nexxus New York Salon Care Therappe Shampoo and Humectress Conditioner. 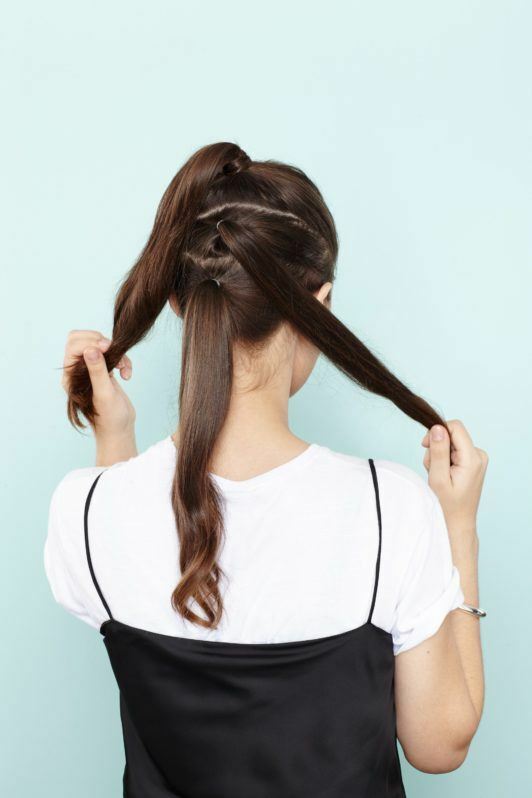 Blowdry and create three ponytails. Apply a heat protective agent, such as Suave Professionals Keratin Infusion Heat Defense Leave-In Conditioner, before blowdrying for some moisture and damage protection. Blowdry till hair is completely dry, then section hair into three (top to bottom) and tie each off with an elastic. Pin the middle section sideways. As if you were creating a French twist, roll the middle section over itself sideways. Secure with pins on the underseam. Pin up the lowest section. 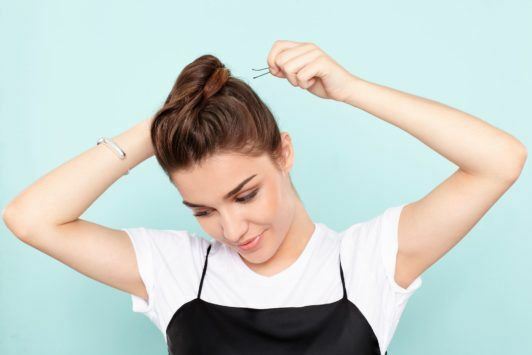 For the lowest ponytail, create a bun. 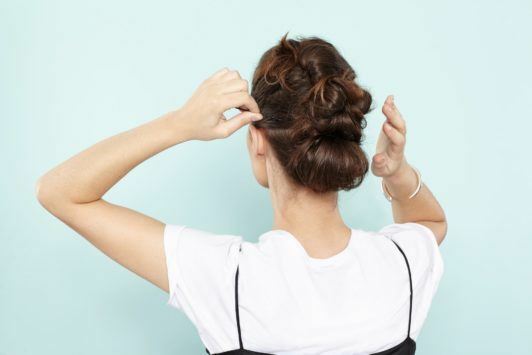 Curl the ponytail up and over itself, securing with pins back at the top where it meets the seam of the middle section. 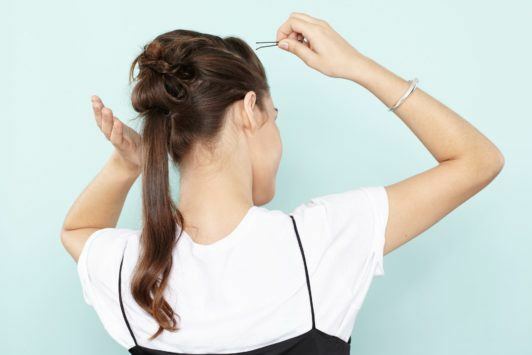 Twist the top pony once to shorten its length, then snake it downwards, pinning at each segment. You can also twist it at each segment before pinning to make it more secure. Lock your faux hawk in place with some firm-hold hairspray. We like the lightweight, non-crunch feel of TRESemmé Keratin Smooth Frizz-Free Hold Hairspray. Done! New York vs. L.A.: Who Has the Best Summer Blonde Hair?